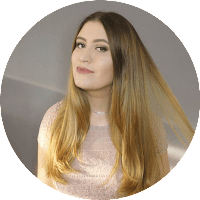 Julia's Fashion Minute: Haul: Metallic tops, Green jeans & bow ring. Haul: Metallic tops, Green jeans & bow ring. Yesterday I went shopping and I decided to share what I bought! I first went to H&M and scored these cute green jeans, with the zipper on the left, for only €9.95! 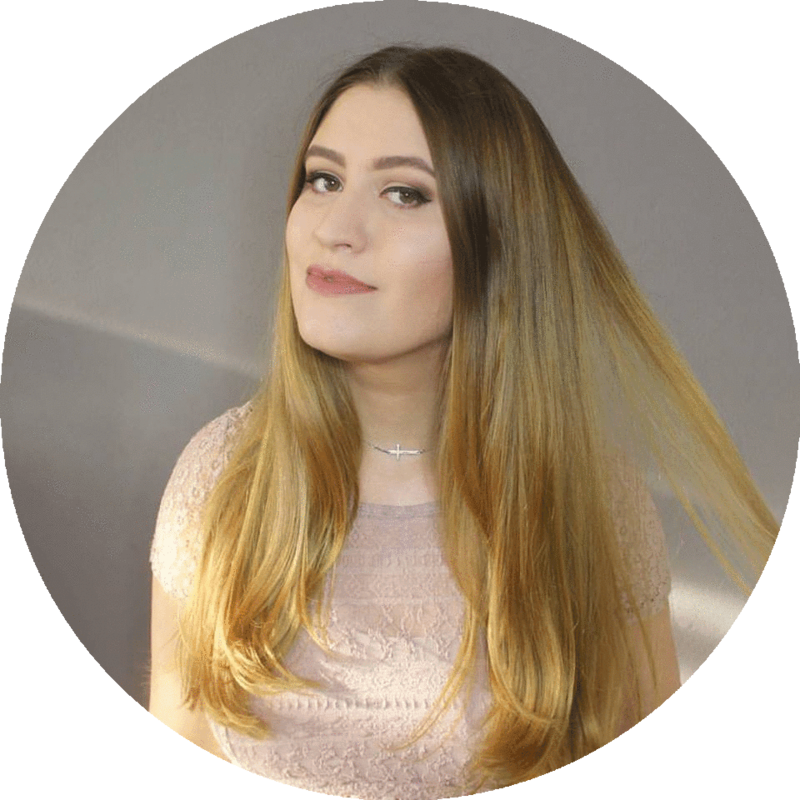 So excited, you will probably see this back in one of my fashion posts or videos. 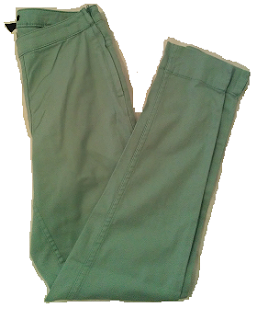 I think this green is perfect for every summer outfit ! 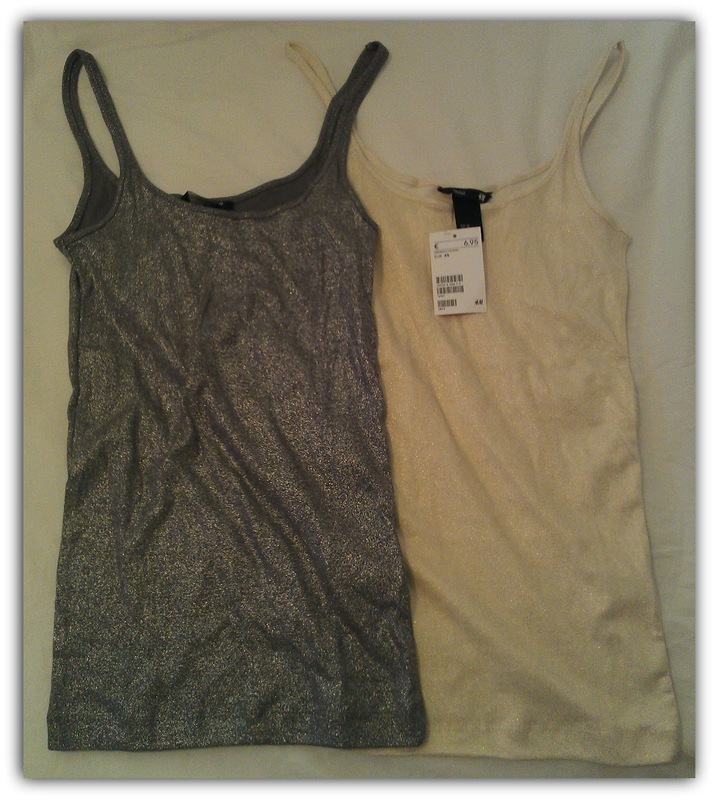 I aslo noticed these metallic tops at the H&M for €6.95. So I decided to take them in Silver-grey and Gold-cream. Even though I promissed myself to not buy anymore glittery stuff. They come in, I believe, four colors. 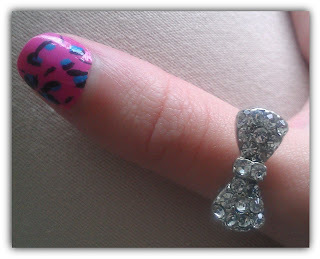 I also bought another bow ring, for only €2.95 at a random drugstore. It was the last one they had and it's a size medium. It's way to big for my fingers but I don't mind because now I have thumb ring ! 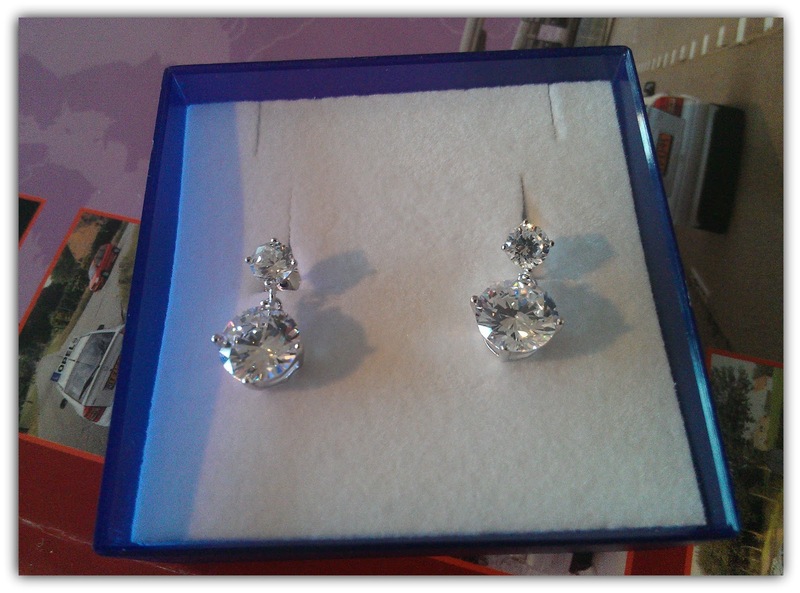 And last but not least, my dad won these gorgeous earrings and gave them to me ! 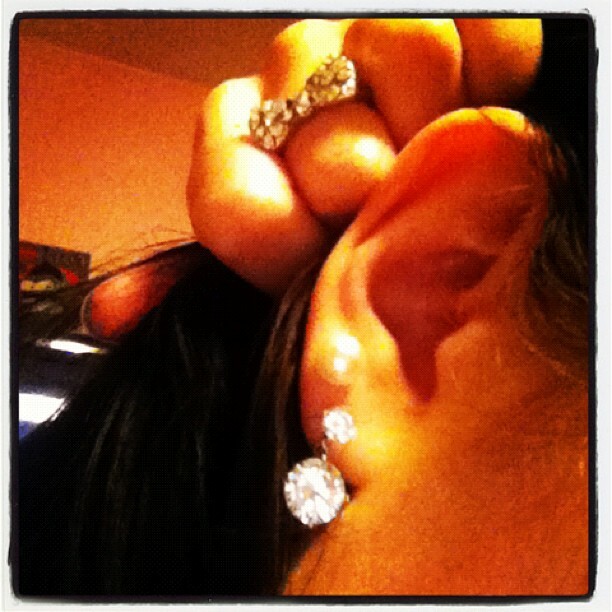 Sooo happy with them ! 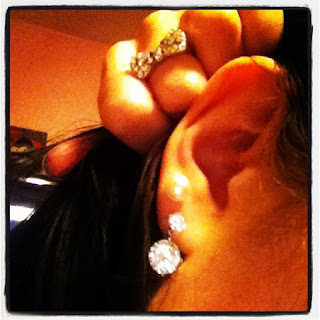 I wear them, sometimes, instead of my glitter bows with my pearl earrings. This was the haul for tooday !